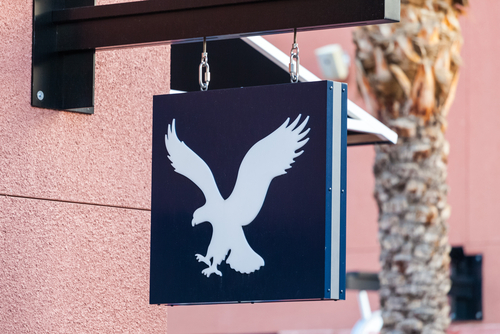 On Wednesday, American Eagle Outfitters, Inc. (NYSE: AEO), a leading global specialty retailer, announced its financial results for the second quarter of 2017. After the announcement, shares of the company increased 11.4% on Wednesday. Total net revenue for the second quarter rose 3% to $845 million from $823 million for the same period last year. The results surpassed analysts’ estimates of $824.0 million. Net income for the company was $21.2 million, or $0.12 per share, declining from $41.6 million, or $0.23 per share, for the same period last year. Adjusted earnings per share for the second quarter was $0.19 per share, surpassing estimate of $0.16 per share. The company reported that consolidated comparable sales increased 2%, compared with the 3% increase last year. Analysts’ has estimates comparable sales to decrease 4%. “In the second quarter, we achieved sales and earnings above our expectations in a challenging retail environment. Sales trends improved and I’m proud of the continued growth in jeans, bottoms, women’s apparel and Aerie, with encouraging signs in men’s tops beginning to emerge,” Jay Schottenstein, the Chief Executive Officer of the company, said in the statement. “Our brands are strong and we have significant opportunity for further growth. I’m optimistic as we enter the second half of the year, and we remain focused on delivering product innovation, strengthening customer engagement and improving profit flow-through,” he said.